Our product range includes a wide range of Mortars & Castables, Conventional Castables, Low Cement Castable and Insulating Castables. Our clients can avail from us a wide range of high quality Mortars & Castables which is a perfect option for brick and pre-fired shape linings. This is easy to apply and can be used in several occasions as a cheap maintenance option. To ignore hair cracks, the mixing instructions and drying cycle must be followed properly and drying cycle as well. Mortar grades is similar to the pre-fired brick grades for high temperature brick work. We also have ramming mixes, washes, embedding mixes and coatings. We bring forth to our clients a wide range of Conventional Castables which are scientifically designed ready mixed castables. These conventional castables cater to the application needs of different industries like Cement, Steel and Petrochemical. The conventional castables are hydraulic setting and can be moulded to any shape and mixed for gunning of furnace lining. These are known for their strength and low maintenance. Available with us a wide range of high quality Low Cement Castables which is of various alumina content (Al2O3 varying from 45% to 90%) along with the service range between 1500o C to 1800o C. These are known for Al2O3 content and particular low Fe2O3 (less than 1 %) & low CaO (less than 1%) content. Further, it also requires less than 5 % water and our low cement castables need short curing time. 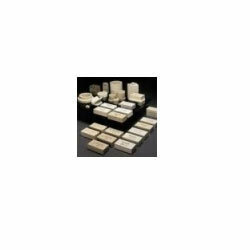 We offer a wide range of high quality Insulating Castables which is specifically prepared for consistency in density along with higher strengths. It is widely used as backup layer in Process Industries as well as hot face layer in Petrochemical Industry. Further, these insulating castables have low density and low thermal conductivity which help to conserve heat energy and also decrease fuel costs.